College can seem like an impossible goal for many Rochester students. We work with community members, college representatives, businesses and volunteers to change that. Our mission? To make sure that every student with the drive and intelligence to complete a certificate program or graduate from a two-year or four-year college has the opportunity and resources needed to succeed. 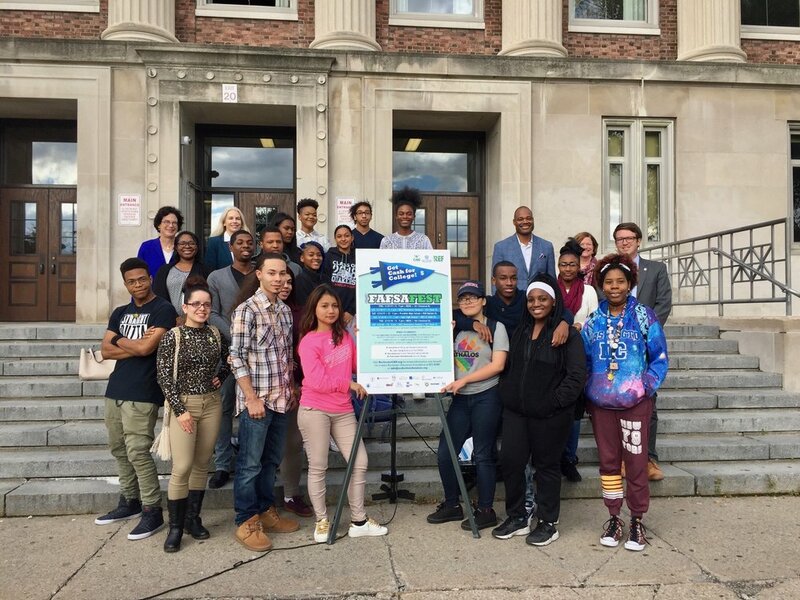 We offer community FAFSA Fest events to help students fill out the federal financial aid form for college (FAFSA), 10th grade college tours, informational sessions about what to expect in college, and more. 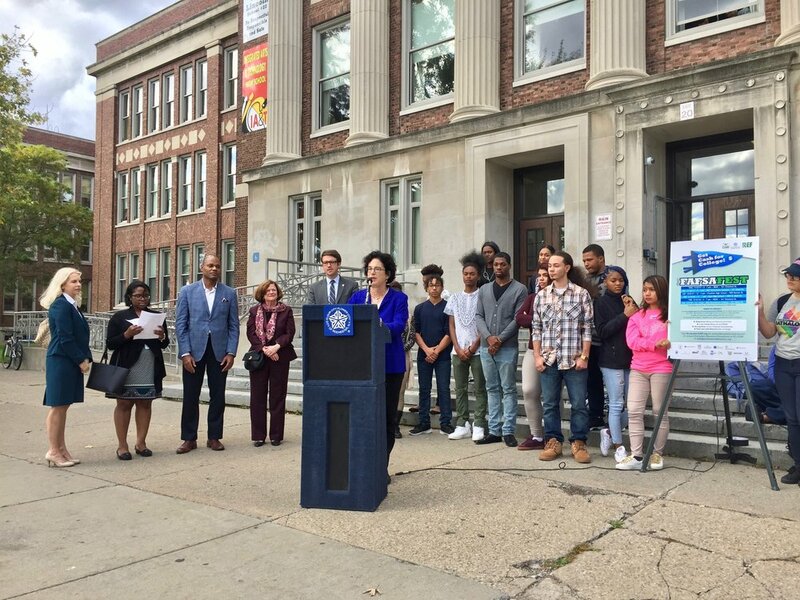 In June 2018 we were selected to lead a city-wide effort to increase the rate at which students complete their FAFSA forms. We are one of 25 cities to compete for a $100,000 prize to be announced in Fall 2019. Students should come with a parent, if possible, and bring Federal and State 2017 tax returns. 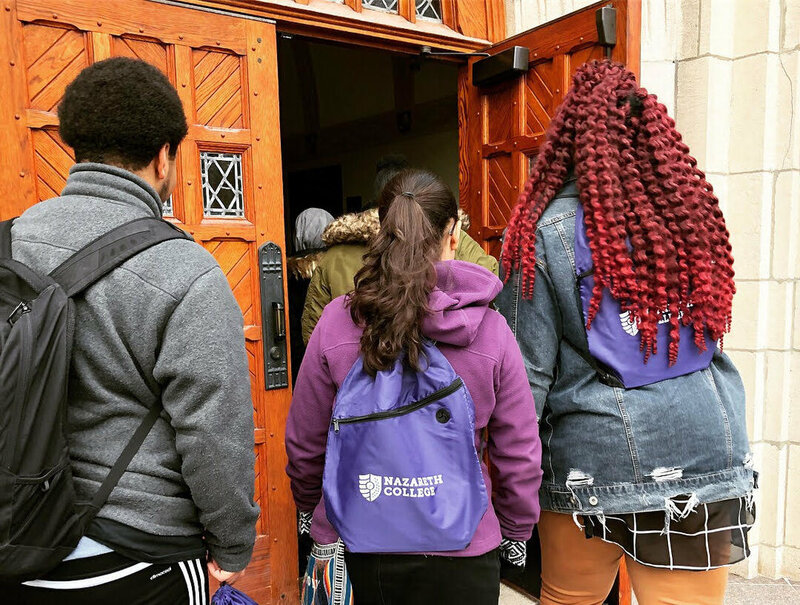 We lead the Rochester College Access Network, a community initiative whose mission is to support college access and success through coordinated communication, coalition and advocacy for students in Rochester to enable students to meet their full potential. The group includes representatives from local colleges and universities, not-for-profit organizations, philanthropic organizations, and businesses. We also offer the only regional college information website in the Rochester area. Visit RochesterCAN.org for information about local college opportunities, a calendar of local college events, information about financial aid opportunities, and more. Become a FAFSA Fest Volunteer! 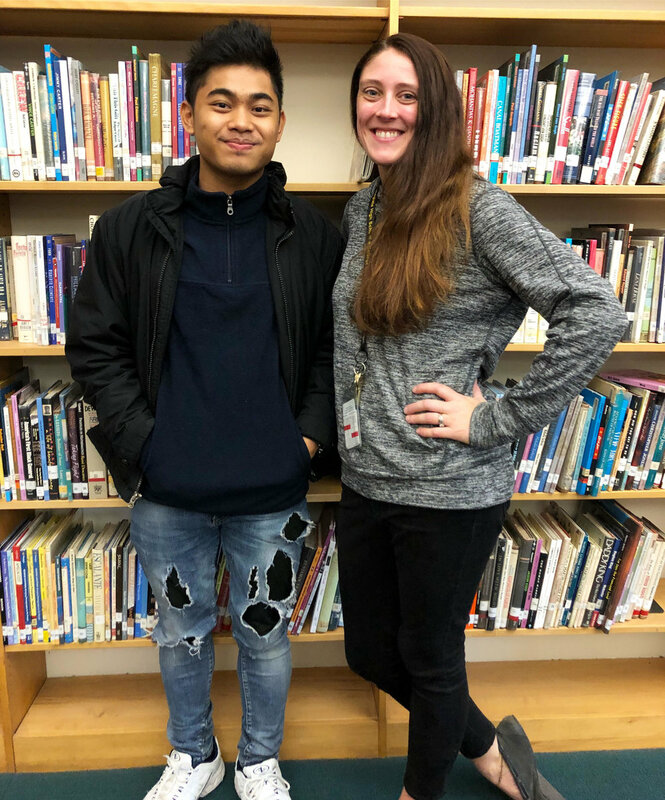 Thanks to REF and incredible volunteers and partners in the Rochester community- hundreds of young people get help filling out their financial aid forms each winter. Watch this video to learn more about what filling out the FAFSA means to students. The FAFSA (Free Application For Federal Student Aid) can be a very intimidating and confusing form- especially if you're unfamiliar with it. That's where we come in. 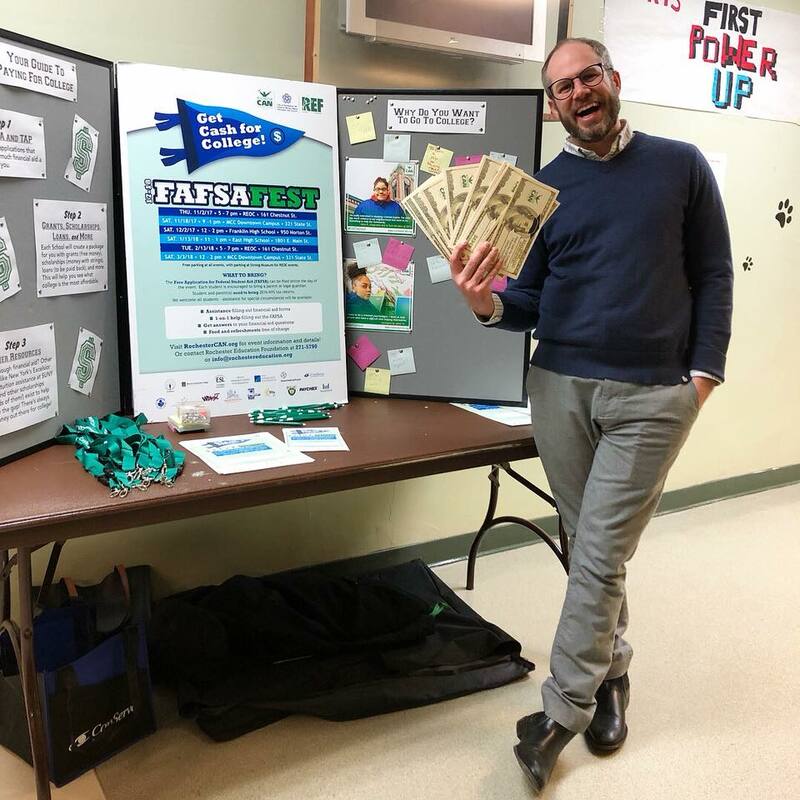 At FAFSA Fest, our trained volunteers will guide you through each step of the FAFSA form and get you one step closer to college. FAFSA Fest events are scheduled from October through March. For the 2018-19 school year, we're thrilled to be part of the National College Access Network's FAFSA Completion Challenge with twenty-four other communities across the country to increase our completion rate by 5%. Click here for more information! We know the importance of getting students onto college campuses while they're still in high school. 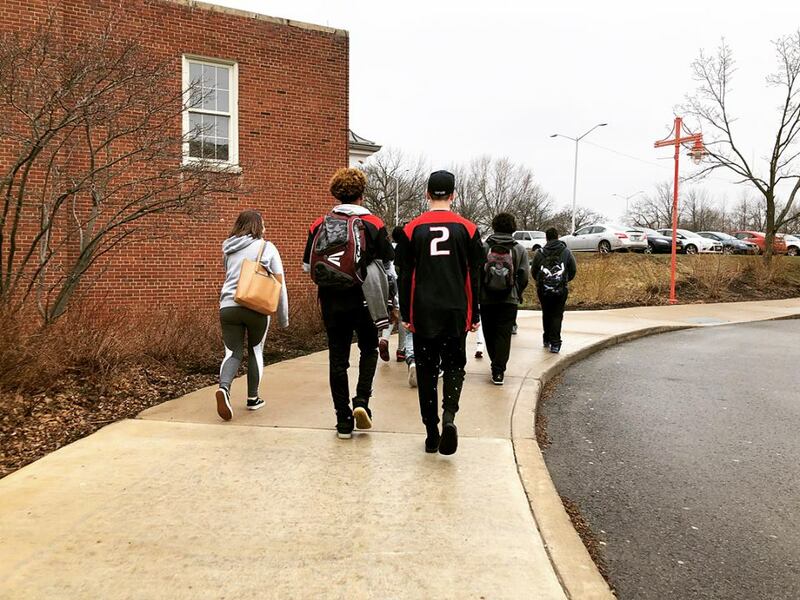 Through this program, RCAN sends 10th graders from Rochester high schools on visits to local colleges. 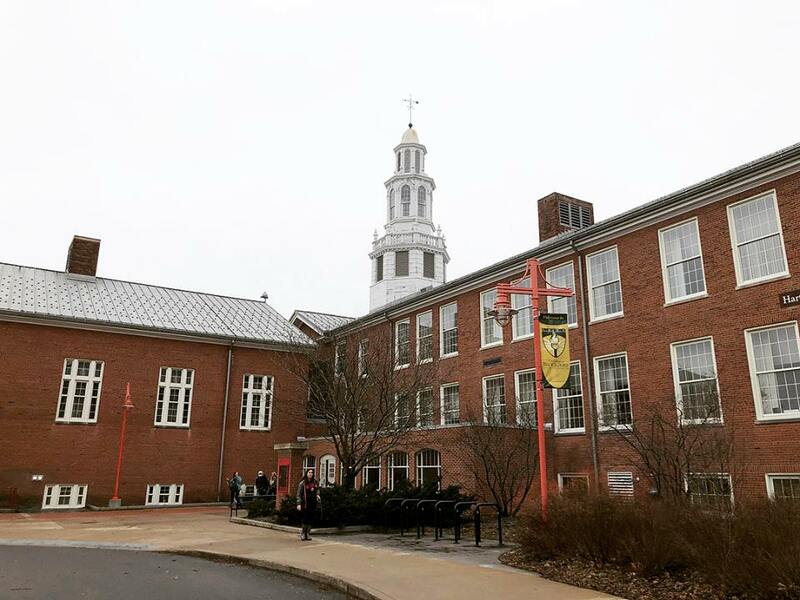 Students take a tour, learn about admissions and financial aid, and eat lunch on campus. 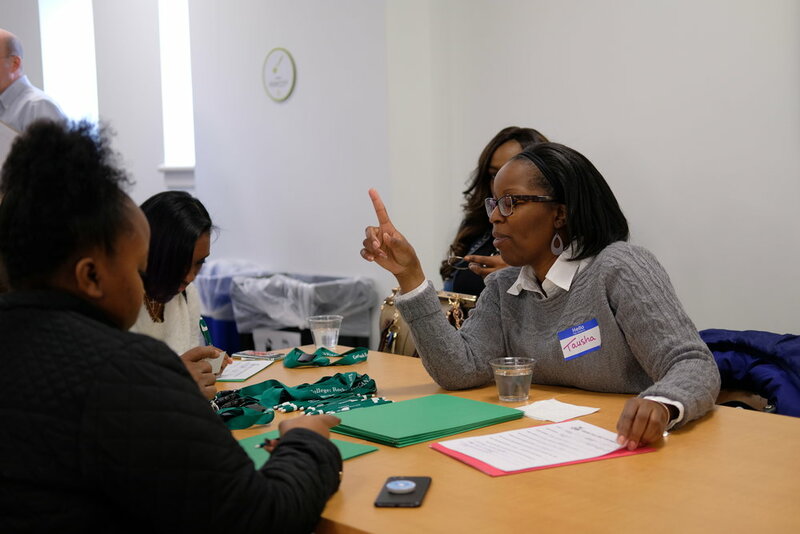 College Connect gives 9th graders the opportunity to talk to a panel of current college students in a comfortable, informal setting. How do you get into college? How did you choose a major? Do you have to do your own laundry? What's the food like? There are many ways to get involved! Participate in one of the programs listed above, volunteer at FAFSA Fest or College Connect, become an RCAN member, become a FAFSA Fest sponsor, or donate funds to support the RCAN mission. In-kind support is always appreciated as well. Are you a school counselor, teacher, librarian, or someone else who works with high school students? Subscribe to our "College Access Blast" e-newsletter to stay up-to-date on upcoming college events, student spotlights, and opportunities for students. Please contact us for more information! To donate, click the button below and designate your donation to "College Access." Thank you for your support! Supporters of our College Access programs and FAFSA Fest include The City of Rochester, McGowan Foundation, Daisy Marquis Jones Foundation, Glover-Crask Foundation, ESL Charitable Foundation, The Rochester Area Community Foundation, Wilson Foundation, Oppenheimer Funds, ConServe, Rochester City School District, Monroe Community College Foundation, WDKX 103.9, Greater Rochester Chamber of Commerce, WROC-TV Channel 8, ROC the Future, MCC, REOC, and Paychex. "Do not be afraid to ask for help. nobody gets through college on their own."